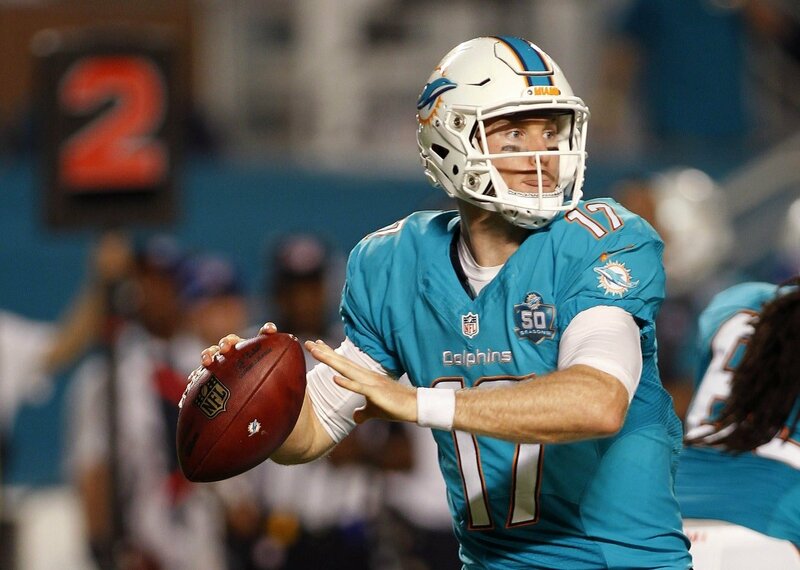 After a bleak season, the Miami Dolphins are reportedly expected to part ways with quarterback Ryan Tannehill, according to Armando Salguero of the Miami Herald. Tannehill produced a 5-6 record when under center with the Dolphins for 11 games in 2018. He averaged only 180 passing yards per game and threw for 17 touchdowns compared to nine interceptions. Injury-riddled over the past few seasons, Tannehill has not played a 16-game slate since 2015. It would appear the Dolphins are looking to take their team in a new direction moving forward. Tannehill was originally the eighth overall pick during the 2012 draft. As it pertains to the Dolphins quarterback situation, Brock Osweiler and David Fales sit behind Tannehill in depth. Though, Osweiler is slated to become a free agent in 2019. The report by the Miami Herald also says that the Dolphins “aren’t planning on bringing in Teddy Bridgewater.” Bridgewater is a native of Miami and also set to become a free agent this March. Look for Miami to be plenty active during free agency and potentially through the 2019 NFL Draft.